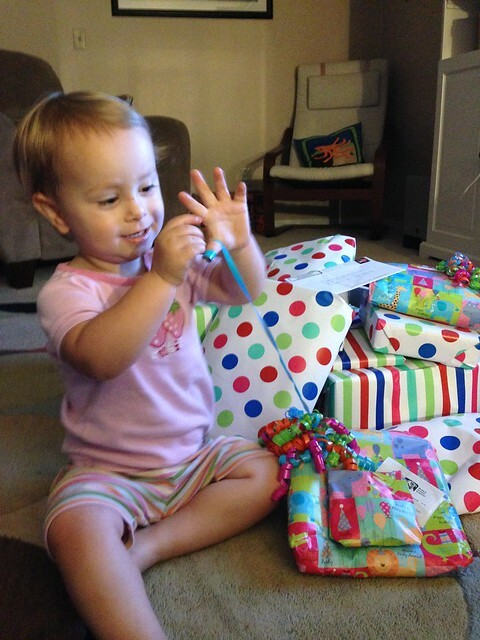 home is where they send us...: Autzee turns 2! 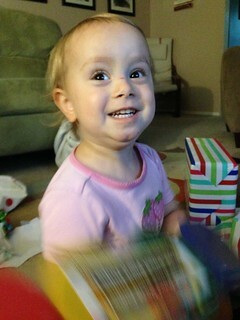 It's so hard to believe that 2 years ago we welcomed another baby girl into our house! The time has flown by! We have enjoyed every minute and find it hard to remember what life was like before she was part of our family. What's new with Aut? Well...she recently climbed out of her crib so now she's in a big girl bed. She loves sharing a room with Achoo. 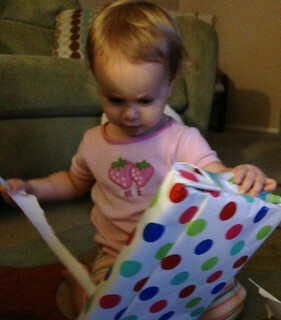 She has lots of favorite toys: dolls, puzzles, books....anything with a small part. 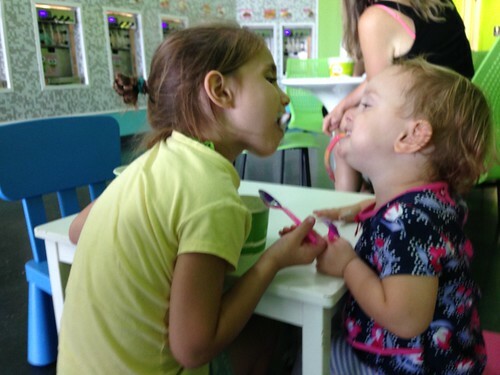 Some of her favorite foods include muffins, macaroni and cheese, yogurt, apples, peanut butter, pretzels and grapes. She's got a great vocabulary but her favorite phrases include: "No", "I want...", "Achoo's bad...", "They're mean...", "Read this", and "Knocka-Knocka" (she she pinches your nose). She really has an incredible personality. She loves almost everyone and is so happy. Her favorite people are Daddy and Gator...yup, you read that right...I'm not a favorite <sniff-sniff> I fall at number 3! 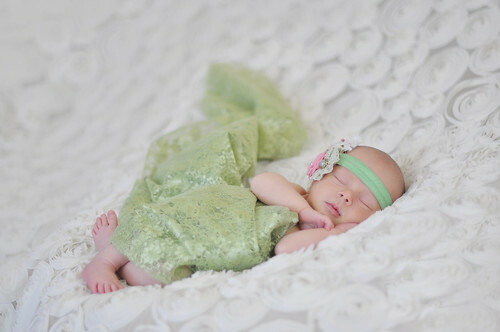 Autzee is just an amazing addition to our family and we all love her so much! 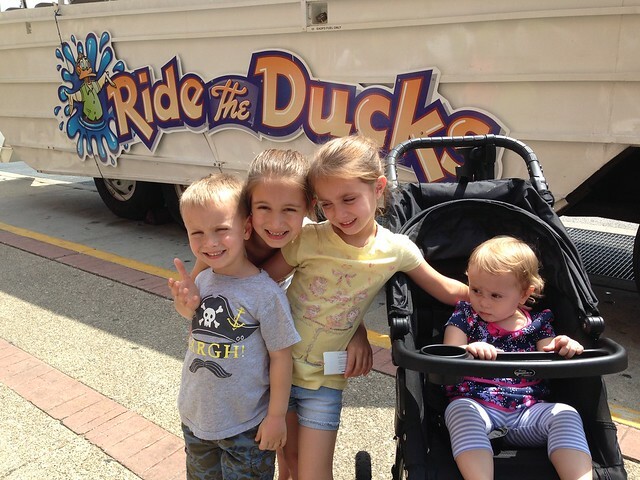 We celebrated her birthday with gifts and a trip to Tom & Chee along with the Duck Boat. We had hoped to go to the Aquarium but it seems that was everyone else's idea too! She had lunch with all of us. She sat next to Peanut who ate a S'mores Grilled Cheese (ew?) 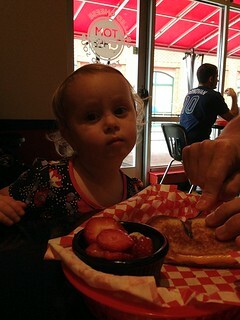 but Autzee enjoyed the regular kids grilled cheese meal with fruit - yum! 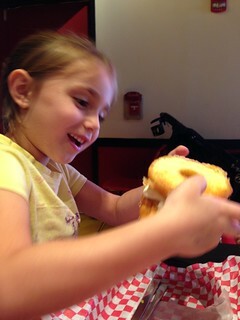 FYI - Peanut loved the S'mores Grilled Cheese and was the first to finish her entire meal. 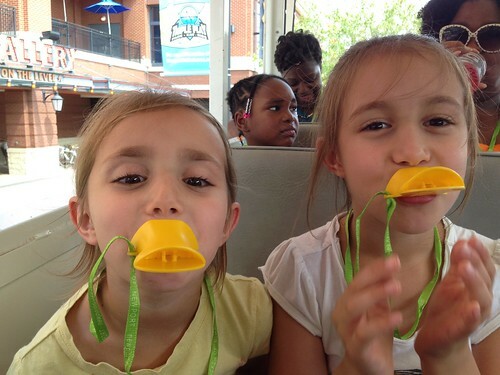 The boat ride was lots of fun because everyone got a QUACKER! 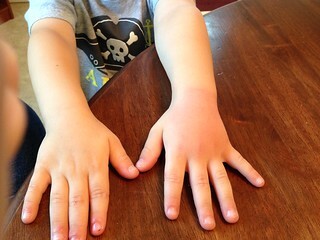 The downside was Achoo got stung by a bee waiting in line (here are his hands later in the day): After all that adventure we took the kids to get some fro-yo! YUM! 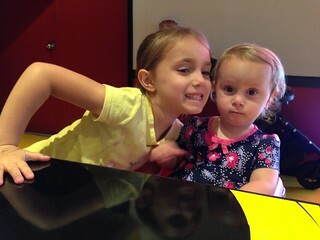 We had so much fun celebrating your 2nd birthday, Autzee! I can't wait to see what fun this year brings!! !